Hi, Donna. Tell us about yourself, where you’re from/grew up/live now, what you do for fun, if you work at “day job”, all that stuff that makes you interesting! I was born in Michigan to an Air Force family. My mother’s family is from Canada, so I spent a lot of time there. We moved quite a bit growing up, Mississippi, Michigan, California and finally ending up in Illinois in 1976. I graduated high school in 1985, and when my parents split up a year later, I moved with my mom to Canada where I had my first baby. Later, I moved back to the states where I eventually met my first husband and had three more kids. After that marriage ended, I found an old friend on the internet that I hadn’t seen in ten years, and I decided I’d better grab onto him before he got away again. We were married in 2009. So here I am, happily married with 5 kids, spending my days doing what I love, and I couldn’t be happier. Sounds to me as if you could write a great love story. When and why did you begin writing? I started writing stories at age 9 or 10. I really liked writing horror stories back then. I loved to write things that scared the heck out of my sister. A typical love/hate sister relationship, heh? (Laughing with you, not at you, Donna.) What is your genre? My main genre is YA fiction. I write for my kids, basically. What’s your process? SOP, well-devised outliner? I am a naturally disorganized person. I cannot plan things, or outline, preferring just to sit down and let it fly. I generally know the beginning and the end of a story before I start, but, otherwise, I just write. I love Stephen King. I also enjoy classic authors like Charles Dickens, Mark Twain, Edgar Allan Poe. JK Rowling amazes me with her ability to create an entirely new world and keep me entertained for years and years. So many Indie authors inspire me. 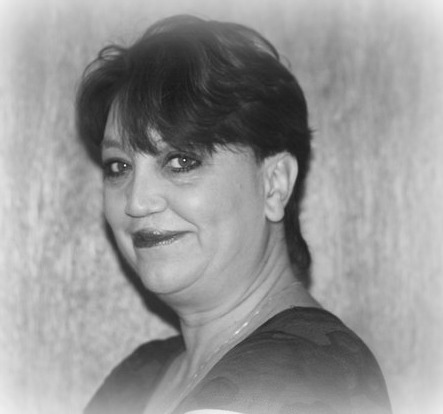 Laurie Boris and her way of telling a story that is so relatable and realistic that you are sure she is writing about you. Nickie Storey who created an amazing place called Grimsley Hollow that, not only do I want to visit, I wait impatiently to find out what adventure is next. Mandy White, who finds new and improved ways to scare the pants off me, and makes me feel like I have to look under my bed to make sure there are no creepies under there. Oh, there are so many more—too many to list. My favorite is “The Snake Pit: Jr. High Can Be Torture”. It was my first and I think your first always has a special place in your heart. Oh, I agree! My first is far from being my best, but I refuse to rewrite it. It would no longer be my first! Where does your character inspiration come from? My kids, mostly. I like things that I write to have some kind of moral lesson. I want you to walk away from one of my stories wanting to be a better person. Let’s have some writer fun. What’s your best/worst experience as a writer? My best experience as a writer has to be the first time I held a printed copy of one of my works. It gets me every time. So many of us feel that way! I don’t think I have had a bad experience. I almost got caught in a POD scam…I was lucky enough to do some research before I signed anything and saved myself a lot of money and disappointment. Ugh. Tell us about the best writing advice you ever got? Publishers pay you, not the other way around. Amen to that one! What is your latest work? 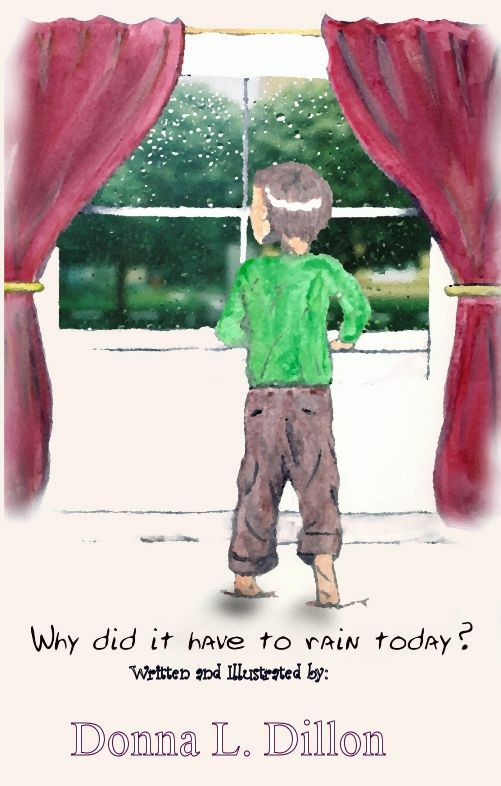 My latest book to be published is a children’s book called Why Did It Have To Rain Today? That’s a really sweet cover. What do you want your fans to know about you and your work? I love to read. I don’t use bad language or violence and usually there is a message in there somewhere. It’s up to you to find it. Some more fun—tell us something about yourself that your readers don’t already know. I can write backwards as fast as I can write forwards…really…I can. WOW Now that’s talent! Where can your fans find out more about you and your work? And where can we purchase your work? All three are available in print and paperback on Amazon. Donna, thank you so much for taking time to talk to us.